Many people forget these simple etiquette rules but you certainly won’t, especially after you read more about them. Go through your tenancy contract several weeks or even months before you start prepping for your move. Most such agreements contain an end of tenancy cleaning clause in which the tenant is obliged to thoroughly sanitise the rental property before vacating it. What is more, the tenant is usually bound by this contract by means of their rental deposit. In other words, your landlord may refuse to return your deposit if you fail to fulfil your end of tenancy obligations. Even if you have not been particularly close to your neighbours, it is still a good idea to give them a heads up that you are moving out. Otherwise, they may mistake your friends or even your movers for a gang of burglars that has gotten hold of your furniture. Believe it or not, for an uninformed outsider, a speedy furniture removal service in London may look a lot like a burglary. It is a good idea to talk to both your new and old neighbours. In that way, you will get to introduce yourself to the former and say a proper goodbye to the latter. Make sure that there is enough room for the moving truck in front of your home. This means you should avoid parking your personal vehicle on your driveway, for instance. Still, just in case the removals vehicle is too big and the movers take their time loading it, make sure you apologise to your neighbours in advance. Warn them several days before the actual day of your relocation and serve your apology with biscuits and tea, for instance. Show consideration not only towards your neighbours and landlords but also toward the removal experts. One way to do that is by wrapping up with packing the day before your move. Keeping your movers waiting while you are still packing dishes and clothes is simply rude. Be ready on time. 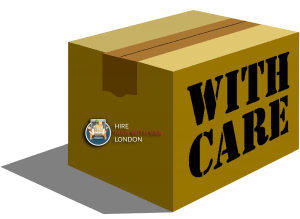 In the UK, customers are not obliged to tip their movers unless that is specifically mentioned in their removals contract. This, however, should not stop you from offering the pros refreshing drinks such as water, soda or coffee or even a quick snack like a sandwich, biscuits or a piece of pie. That is guaranteed to quickly refill their batteries and give them some extra energy to move your heavy piano.